The Manchester Township Police Department is pleased to announce the implementation of “Operation Watch Dog,” a voluntary video surveillance registration program that will assist our investigators as they work to solve crimes in our community. During a criminal investigation our officers are often unaware of the many residences and businesses that have surveillance systems that may have captured footage of value to the investigation. Having knowledge of the location of a surveillance system in the area of a crime could be instrumental in a successful resolution. This program encourages residents and businesses to register their privately owned home/business video surveillance in efforts to increase safety and reduce crime. There are several benefits to registering with Operation Watch Dog. It expedites the retrieval of footage from surveillance systems close to the crime scene in an effort to uncover criminal activity. It also reduces the number of officers assigned to canvass the area around a crime scene for operational surveillance systems. 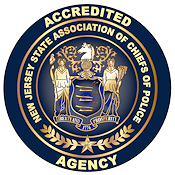 This allows officers assigned to the investigation to be deployed to other tasks in the investigation thereby enabling a higher degree of efficiency of allocated resources. Participation in Operation Watch Dog always remains 100 percent voluntary and personal information will be kept confidential and not for public dissemination. Only law enforcement personnel can view surveillance footage, with permission from the owner. Please note that this program does not give police the ability to tap into any home or business surveillance feeds. The Manchester Police will only contact you if there is a criminal incident in the area of your security cameras. Police personnel may request a copy of any video captured by your cameras which may be pertinent to the investigation. For more information about Operation Watch Dog and to register your home/business in the program, please visit www.ManchesterPoliceNJ.com/OperationWatchDog.